There are rustic bolt holes aplenty in the Périgord, so this modern hotel and spa is an antidote, albeit in the classic surroundings of the golden stone village of Les Eyzies-de-Tayac. The 19th-century former coaching inn has 26 calming bedrooms that are fresh and light, and are styled in white, grey and lilac tones. They overlook the beautifully manicured gardens, with their roses, weeping willows, poplars and palm trees. Its outdoor pool is the perfect place to switch off, as is the spa, with its Cinq Mondes treatments, a sauna, hammam and indoor pool. 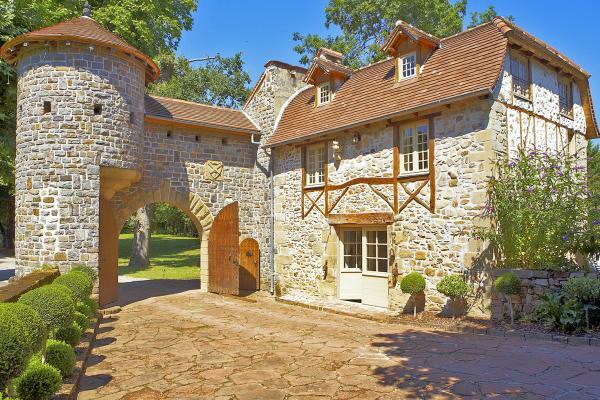 With turrets and towers galore, this charming château was once a favourite hideaway of President Mitterrand. The decor is suitably presidential, with antiques and gilt-framed paintings offering a timeless elegance. Its fairytale setting makes the château a favourite wedding venue. Bed and breakfast is available, and guests can enjoy the outdoor heated pool and landscaped gardens. It’s easy to see why the writer Henry Miller spent a month at this 16th-century manor house hotel, with its splendid vine-covered façade. 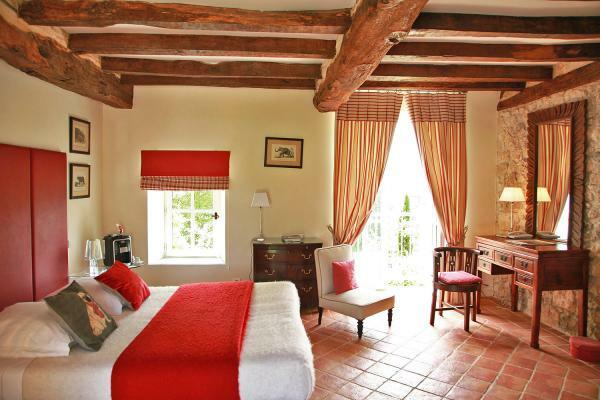 Some of its 23 rooms are decorated with antique furniture and terracotta floors, some with floral prints. The gardens are perfect for a stroll, or you can take a dip in the pool. Vincent Arnould’s Michelin-starred menus are served in an old tobacco-drying house. There’s no need to grow your tresses for a holiday in this magical rental property, but a fairytale holiday is guaranteed. This wonderful 15th-century gatehouse, with its own tiny turret, is in the grounds of a privately owned château and overlooks its own lake. It sleeps four in two beautifully decorated bedrooms, one of which offers a four-poster bed, the other with striking Manuel Canovas wallpaper. Guests receive a welcome hamper of local delicacies, including wine, fruit, flowers and logs for the open fire. The treehouses at Châteaux dans les Arbres are so adventurous and yet so comfortable, you can imagine it’s where the Famous Five would stay as adults. 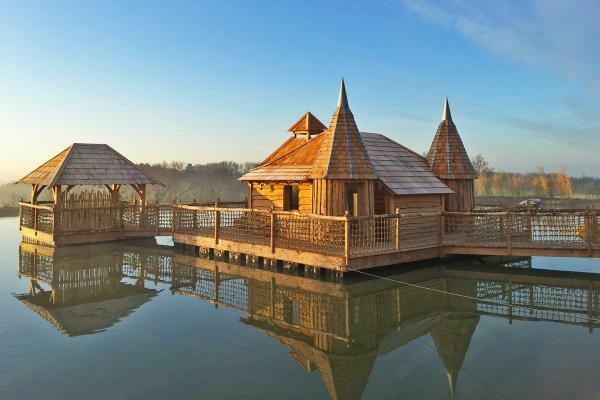 There are five arboreal retreats, with four castles in the trees, plus a new addition of a floating cabin on a lake. 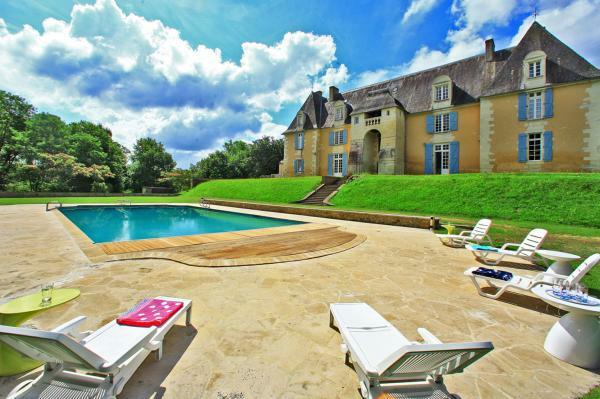 Made from wood, all the “châteaux” have turrets, terraces and their own hot tubs. The cabins are thoughtfully decorated with wooden furniture, stylish bed linen and mod cons, such as minibars, coffee machines and TVs. Some have fully equipped kitchens and a sauna. Enid Blyton would not have approved. Versailles might be out of reach as a holiday abode, but at the 400-year-old Manoir des Sources you get a flavour of Louis XIV’s indulgences; its stunning dining room was installed by the designer of the staterooms at Versailles. 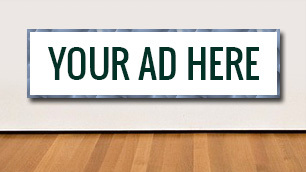 The light and airy salons have parquet floors and antiques. The nine bedrooms are decorated in a blend of antique and modern. 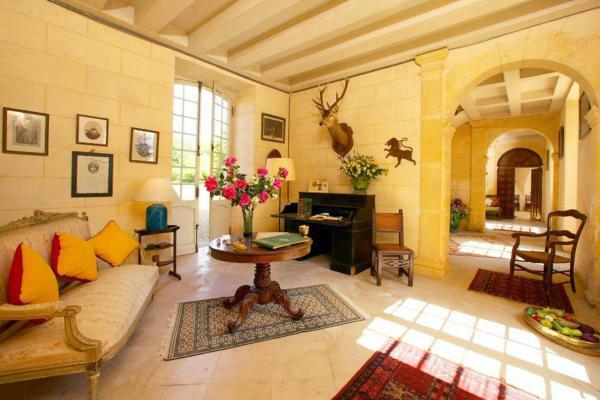 The villa is set in 32 acres of gardens and parkland, and has a heated outdoor pool and a tennis court. Set in the bastide village of Monpazier, this welcoming hotel is named after Edward I, the King of England and Duke of Aquitaine, who built the village in 1284. The hotel dates from the 19th century but has its own historic charm, with its turrets, period furniture and antique portraits. With 17 tastefully decorated bedrooms, a courtyard garden and an outdoor pool, the hotel has a choice of two restaurants — the gourmet Restaurant Eléonore and the more casual Bistro 2. 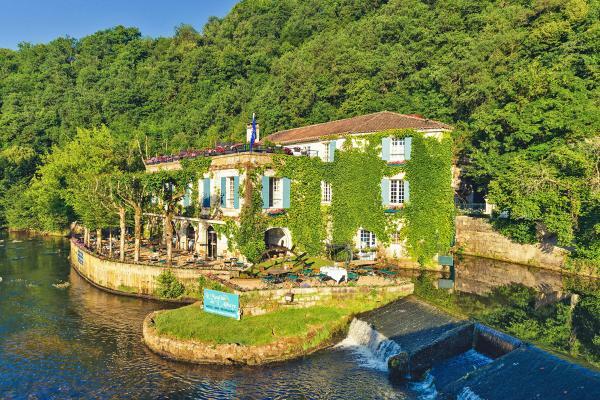 Set next to a weir on the River Dronne, the picturesque Moulin de l’Abbaye has 20 rooms in a former abbey, miller’s house and mill. 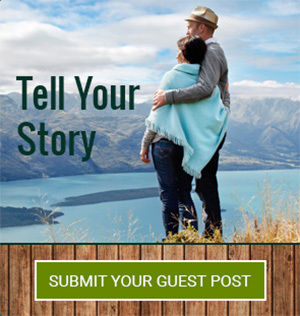 The “character” rooms in the mill have their own veranda, with hot tub and outdoor furniture, while all the rooms have a flat-screen TV and iPod docks, with free wi-fi everywhere in the hotel. The hotel’s gourmet restaurant is on the idyllic terrace overlooking the river and an impressive 16th-century bridge. The hotel also has two bistros. Relaxation is high on the agenda during a stay at this 17th-century country house, which splits its 12 individually decorated rooms between buildings that were formerly a monastery, a windmill and an old bakery. Saunter around the 12 hectares of country gardens, featuring 300-year-old boxwoods, streams, ponds and dovecotes, before admiring the views of the village, or swimming in the pool. Inside, cosy up with a good book in the library or sip a glass of something local in the wine bar. 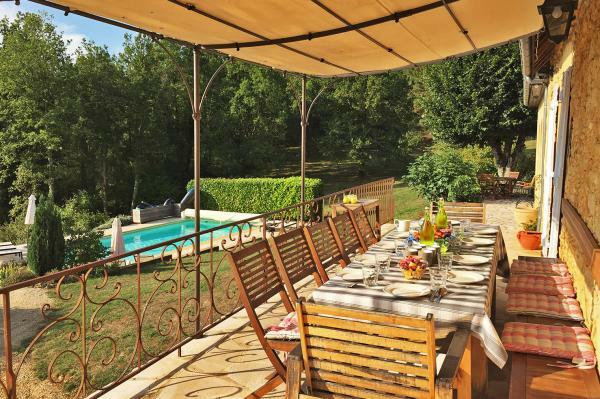 If you’re looking for a stylish villa to host a big family holiday or gathering of friends, the Val d’Atur should tick many boxes. Sleeping up to 16 in six bedrooms in the main house and adjoining apartment, the villa makes a refreshing change from the traditional, with brilliant white decor enhanced by splashes of colour. 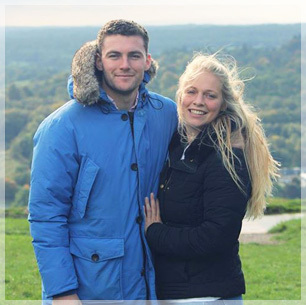 Guests can enjoy the outdoor pool, barbecue area and boules piste, and a cook can be arranged to take the hassle out of catering. Chill out in style at the easygoing Château les Merles, which brings together great food and wine in idyllic surroundings. 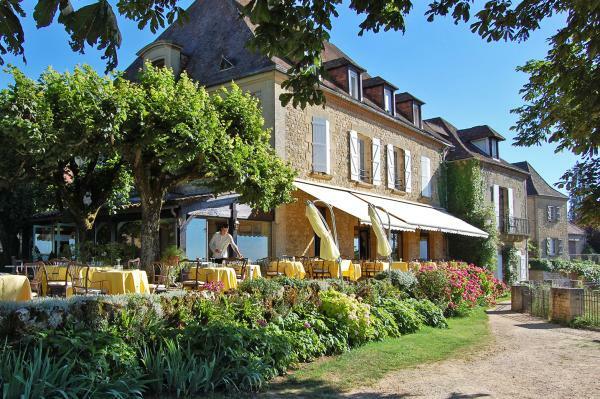 The hotel has its own vineyard, while the restaurant, La Bruyère Blanche, serves a modern take on Périgord cuisine. To burn off the calories, you can hit the tennis courts, pool and nine-hole golf course (lessons from a golf pro are available), but for a more relaxing time simply stretch out in one of the 15 beautifully decorated rooms. 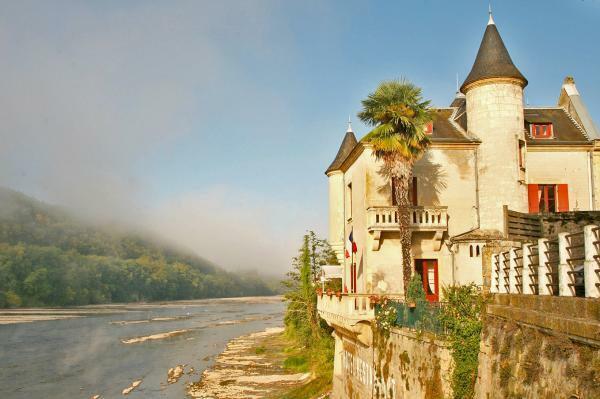 Perched on the edge of the River Dordogne in the village of Lalinde, the château of the same name is a friendly B&B. Parts of the castle date from 1269. Some of the rooms are in the rafters, reached by a spiral stone staircase, while another has a dinky sitting room in the turret. The owner, Wilna Wilkinson, serves a tasty breakfast with breads and pastries, and evening meals with a South African twist. 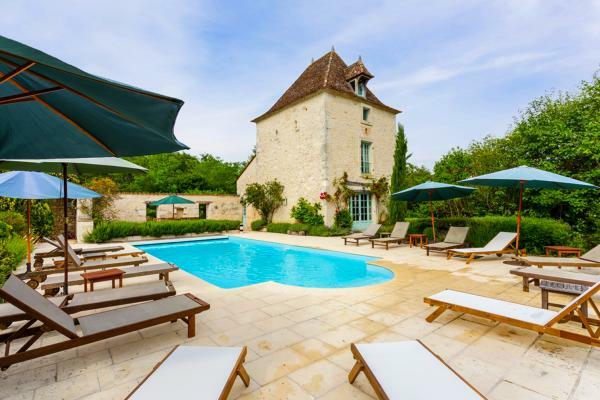 With a warm welcome and its own swimming pool, Château Lalinde makes a great base for exploring the area around Bergerac. 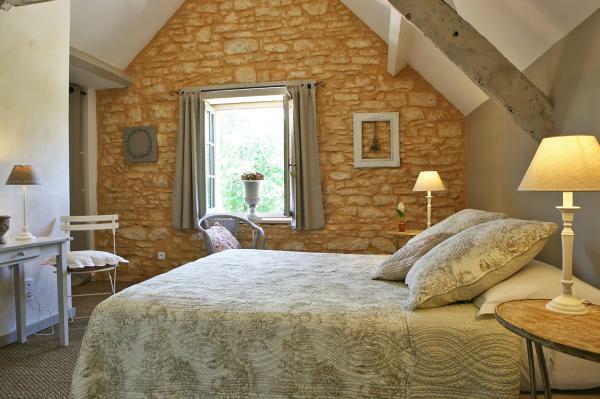 Away from the bustle of nearby Sarlat-la-Canèda, this elegant three-bedroom holiday rental is a perfect place to wind down. In a hamlet surrounded by four acres of gardens and woodland, the roomy three-bedroom holiday home is decorated in neutral tones to complement the stone walls and terracotta floors. Relax in the two reception rooms: a cosy one for chilly evenings, with an impressive fireplace and sofas, or a summer sitting room with rattan furniture that looks out over the terrace. 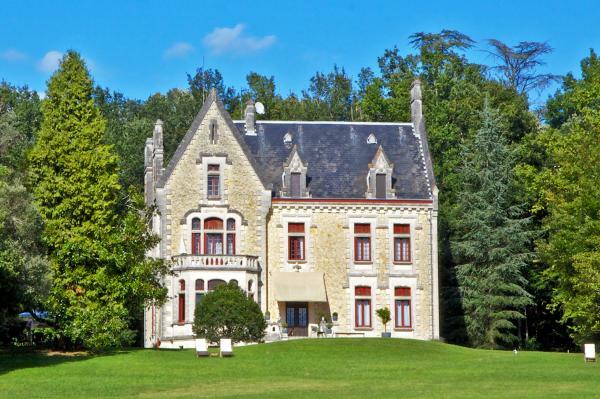 This five-bedroom castle is named after France’s favourite children’s story because the author Antoine de Saint-Exupéry spent time here with relatives. 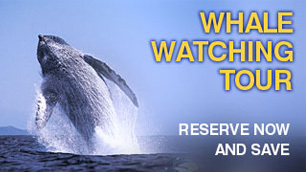 There is space for a large family or group of friends to spread out. The two sitting rooms and grand dining room (with vaulted ceiling) are the perfect places to relax together. 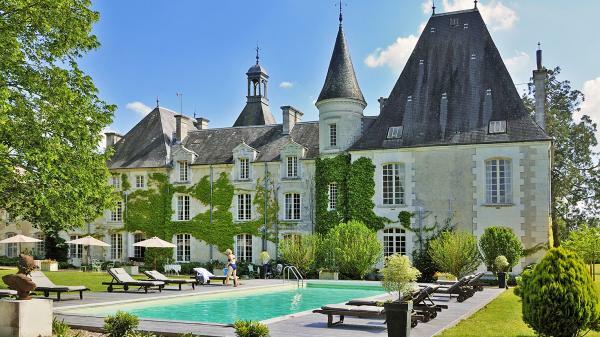 Outside, from the swimming pool you can admire the château’s exterior, with the turret and tower standing over the courtyard. Play at being lord of le manoir at this 17th-century manor house, with its own courtyard and manicured gardens. Swan about the 75 acres of private grounds, dip into the outdoor pool and eat alfresco on the terrace. Inside, you can entertain in the formal dining room or one of the two spacious reception rooms, and show off the stone staircase with carved balustrade as you lead guests to one of the nine enormous, tastefully decorated bedrooms. Perched on a hilltop with views of the surrounding countryside, this 300-year-old manor house offers the chance to relax in understated elegance. Many of the six bedrooms have four-poster beds, polished wood floors and freestanding baths in the en suites, while the two reception rooms are decorated with a mix of antiques and modern furnishings. There is a saltwater pool and a huge games room in the vaulted cellar. The village of Domme offers outstanding views of the River Dordogne. Run by a mother-and-daughter team, L’Esplanade has 15 cosy rooms decorated in country-cottage style. Book one of the more expensive rooms to enjoy the views from your balcony (the less expensive rooms face the street), then spend an evening gazing out from the hotel restaurant’s terrace. 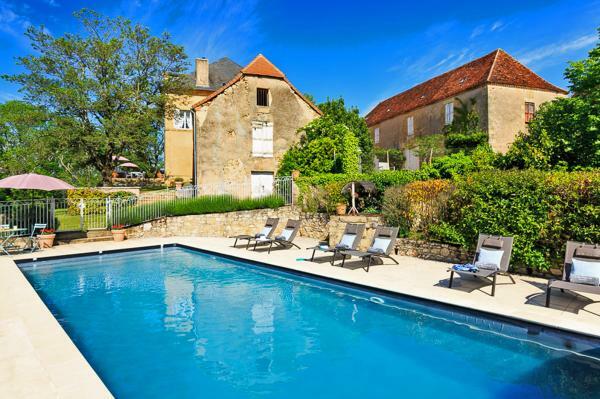 This welcoming B&B might be near some of the Dordogne’s most enticing tourist attractions, but dragging yourself away from the pool and five acres of woodland that surround this 18th-century farmhouse might be a challenge. The five attractive rooms, each in its own stone building, are individually decorated with simple tones or floral patterns. The Tilleul room, set in the old bread oven — a dinky little cottage in the garden — is particularly charming. This rustic mill on the River Dronne has had many incarnations since it was built in the 16th century, producing walnut oil, flour and even shoes and slippers. Now its waterwheel is ornamental and the building is a comfortable hotel with ten bedrooms, some with verandas. The restaurant serves traditional menus, with tables on a pleasant terrace in the middle of the river. There is an outdoor pool and patio.